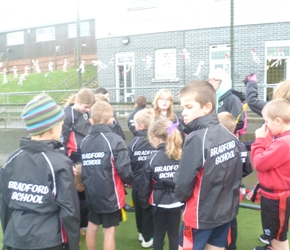 On Wednesday 9th November Class Two attended a Tag Rugby tournament at Holsworthy College.We made two teams and had a fantastic afternoon. 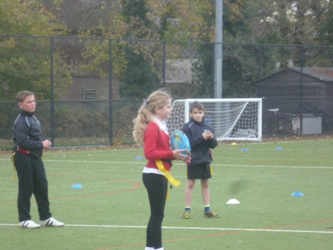 We all learnt lots about tag rugby and some fantastic tries were scored by Owen, Conrad, Rupert, Alfie and Bailey. We had a fantastic afternoon, even with the rain! I was very impressed with the enthusiasm of everyone and how they cheered each other on throughout the matches.